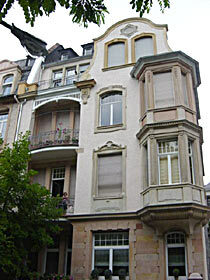 This tasteful 1895 house, lies between Westend and Holzhausenviertel. The city centre is about a 10 minute walk away. 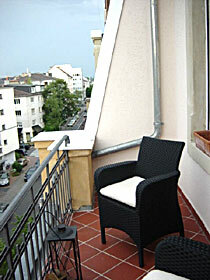 The U-Bahn (subway) Station "Grueneburgweg" is about a 5 minute walk away. The vast botanical gardens - Grüneburgpark are a 10 minute walk away and are ideal to relax or for a jog. 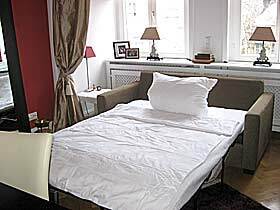 The guest room is located on Wolfsgangstraße in 60322 Frankfurt Germany. Click on the map to go to hot-map and map of Frankfurt on Main. (mapguide). 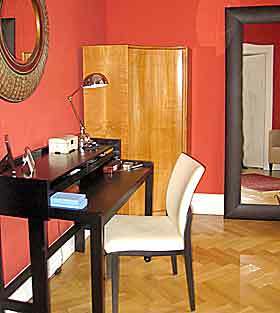 The guest room is 18 m² is size and has a high quality 140 cm wide sleeper couch for 1 person, as well as a wardrobe. 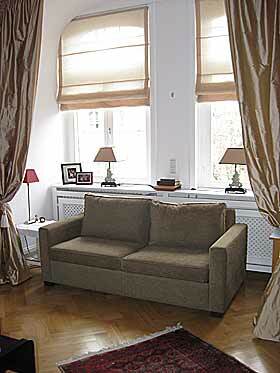 The windows have shutters which darken the room at night. 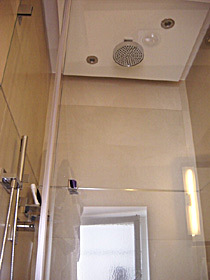 The bathroom with shower was completely renovated in 2007 and fitted with Dornbracht taps. The big shower head is especially nice. The same fittings are in the extra toilet next to the guest room. 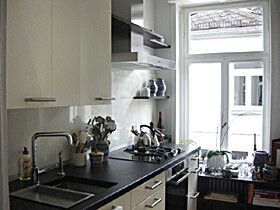 The kitchen has also been renovated (Poggenpohl), coffee and tea are available, but it is requested that only small meals are prepared in the kitchen. The large dining table in the living room can be gladly used. 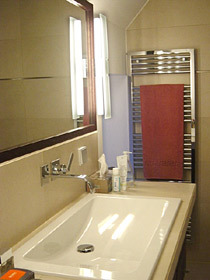 Bathroom and kitchen are also used by the host. Internet via WiFi is possible. Smoking on the balcony is allowed, but not in the apartment. The host speaks German and perfect English. * - Fair prices apply to the book fair, Paperworld, Heimtextil, Tendence, ISH, Musikmesse, Ambiente and IAA. Breakfast is not offered, coffee and tea are available in the kitchen.